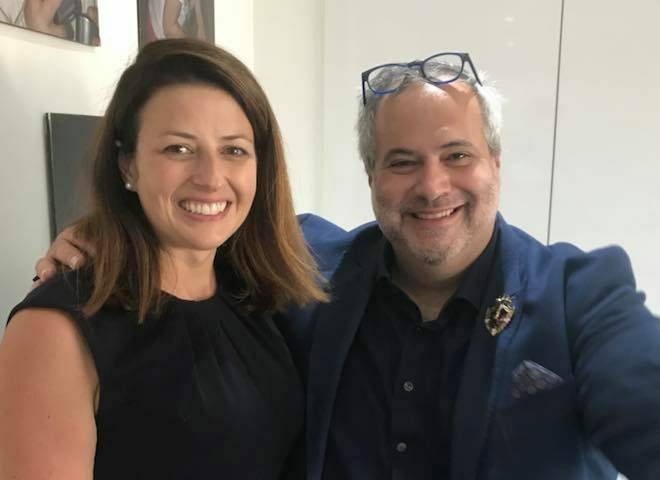 Início » Comendador Marcio B Fasano » Joy Morrissey: Let’s be clear. It’s the Left that drives political abuse, thuggery and intimidation. Joy Morrissey: Let’s be clear. It’s the Left that drives political abuse, thuggery and intimidation. Joy Morrissey is an Ealing Borough councillor and was Parliamentary candidate in Ealing Central and Action this year. She works for the Centre for Social Justice. I have been a British citizen for nearly a decade. Keen to get involved politically and pursue my passion for social justice, I had no prejudices or baggage regarding any particular party. In 2008, I joined the Conservatives and have subsequently represented the party as a councillor and parliamentary candidate at the last election. The question I am often asked is: why? Why did I choose this party instead of Labour? Certainly its policies and values were a major factor – but, above all, I joined a party that did not consider itself morally superior to its opposition. As a relative outsider to the British political scene, it has been a constant source of amazement to me how the perception that the Labour Party is permanently on the moral high ground has been allowed to go unchallenged. This distortion of our Party and its values has now reached the point where we all have to say: enough is enough. We need to be a party that is proud of its beliefs – and to change the political narrative to ensure that no one should be shy of voting for us. By not doing so, we are not only failing ourselves, but the vast numbers of people that steadfastly and silently support us. We need to start by consistently and repeatedly challenging the idea that Labour are the party of conscience. Whether in print, online or the broadcast media, we should repeatedly pin them down on this assumed superiority. We cannot do it by reciting facts and figures to prove our case. We cannot do it by arguing the intricacies of any particular policy. We need a broader and more fundamental approach: At every opportunity, we must point out that any of the endless disparaging references to ‘the Tories’ is not a smear on the motives and character of a particular MP or branch of the party, but on the millions of their fellow citizens that agree with us. Insulting us will not be quite so easy if we constantly expose the fact that their contempt for a rival party is actually a contempt for the British public. As Conservatives, we do not consider ourselves morally superior to anyone. Do they? The self-righteousness in their every criticism, and its implied monopoly on virtue and compassion, suggests so. As Conservatives, we accept that our opponents may have a different point of view without feeling the need to demonise them. Do they? Defaced election posters and screams of hatred suggest otherwise. In short, we need to rebut the core of their divisive rhetoric at every turn. Not only for the sake of our party, but for the sake of our country. Labour may be happy to encourage social division: we are not. Naturally, the Labour Party will deny this self-evident fact. They will attempt to muddy the waters with generalisations about all parties being subject to abuse. That is true, and of course completely unacceptable. But there is a fundamental difference in our experience: The victims in their party are small in number and, almost without exception, high profile. The victims in the Conservative Party are vast in number and of high profile, low profile and no profile at all. The abuse takes place across the board. Conservatives, whether MPs, party member or simply voters are subject to endless denigration as a direct result of Labour’s socially divisive rhetoric and assumed moral superiority. As a direct result of their use of the word ‘Tory’ as a term of abuse. As a direct result of demonising their political opponents and, by extension, anyone that supports them. This issue cannot be deflected by Labour, whereby the molehill of their abuse is compared to the mountain that is heaped upon their opponents. Sighting Diane Abbott and a few other examples will not counter the many thousands of incidents that we endure. Additionally, anything they do suffer is almost exclusively via social media. They are not subject to being insulted, spat at and intimidated in public. Perhaps they could give an example where they have arrived at any event to be met with a screaming mob of Conservative activists? Perhaps they could find one supporter who is fearful of the consequences of placing a Labour Party poster in his or her window? Perhaps they could put a figure on the number of times the police have had to be called as a result of criminal damage and intimidation from our members? Perhaps they could demonstrate how they are routinely referred to as ‘scum’ for their political beliefs? There is absolutely no equivalence in the depth and scale of this aggression, and we must not allow them to suggest otherwise. We are a party that stands for decency and fairness. We are the party of aspiration, hope and social mobility. We are a party that does not feel the need to denigrate the character of our opponents. And most importantly, we are a party that should be proud of its name. Proud that we represent the largest single group of voters in this country: That is one simple fact which cannot be disputed – and we should not be shy of in repeating. None of this would be a re branding exercise. It would be a confident and positive statement of who we are – and it would also happen to be true.